Android has found itself in the headlines these days for all the wrong reasons, especially when it comes to security and data privacy. Keeping that negative limelight in mind, Google has taken a potential step that will ensure that its Nexus lineup of devices stays up to date when it comes to security patches and fixes, alongside the usual platform updates, of course. Google claims that Android was forged with security in mind since day one. But lately, the Mountain View company’s mobile OS has been the target of a lot of major vulnerabilities, leaving the end user in harm’s way when it comes to their data. In fact, recently we’ve come across a bunch of different reports revealing how Android is left open to attack by ill-intentioned individuals. And the worst part is: millions of devices are affected, raising a lot of questions in terms of security and how safe Android actual is when it comes to daily usage. But all of that changes today with Google’s major announcement regarding security updates. Google has today revealed that it will now update its Nexus lineup of devices on a monthly basis with security patches, ensuring that users get the latest and greatest fixes from the company right on cue, without any sort of delay. And of course, the platform updates will be pushed alongside as well, so users get the latest features to enhance their user experience too. As you can see from the list, most of the bases are covered. But if you’re in the ownership of an older device, for example, a Nexus S or a Galaxy Nexus, then you’re out of luck when it comes to these security updates. Besides, the aforementioned devices don’t get Android updates from Google anyway so it’s a good idea to upgrade to something more recent if you’re planning on staying behind a secure wall. The company has also revealed that the security updates will be pushed out to AOSP (Android Open Source Project) so that different manufacturers can push them out for their Android powered devices. At the same time, the fixes will be released to the public via the Android Open Source Project. 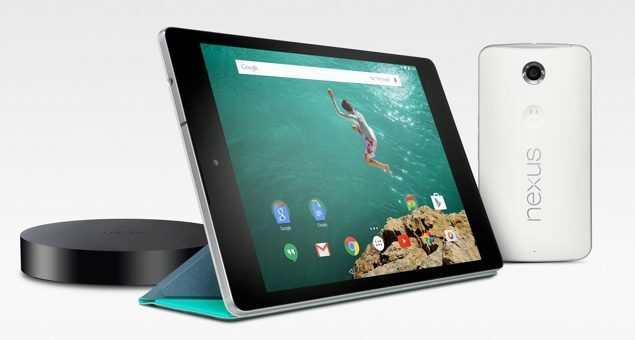 Nexus devices will continue to receive major updates for at least two years and security patches for the longer of three years from initial availability or 18 months from last sale of the device via the Google Store. It’s great to see Google taking such a step in terms of security. We really hope that this trend of pushing out security updates is soon picked up by other big name manufacturers as well. And we’re sure it will, as Samsung has also announced that it will push out monthly security updates for its Galaxy lineup of Android devices.